The President of India Shri Pranab Mukherjee conferred the Florence Nightingale Awards to 35 nurses from across the country on the occasion of International Nurses Day at the Rashrapati Bhavan, in the presence of Shri J P Nadda, Minister for Health and Family Welfare. 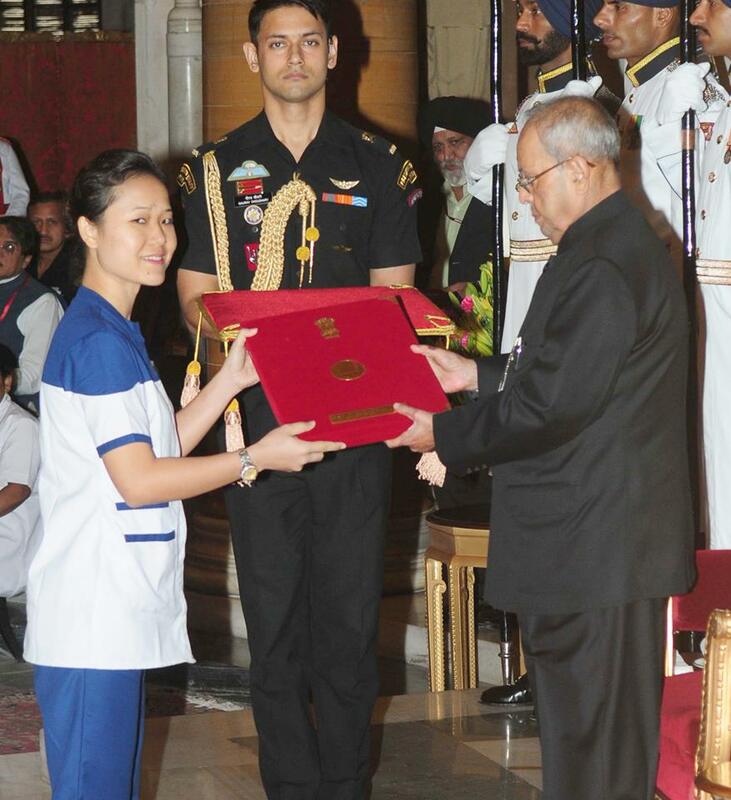 Mercy Lalpekmawii from Mizoram is also one amongst the award winners of "The Florence Nightingale Awards" on International Nurses Day.She is working with Shri Vinoba Bhave Civil Hospital. Silvassa is the only specialty hospital in the UT of Dadra & Nagar Haveli, catering to entire population of Dadra & Nagar Haveli and adjoining areas of Gujarat and Maharashtra for its curative, preventive and rehabilitation needs. Shri J P Nadda also informed that the Ministry has undertaken number of initiatives for strengthening the nursing cadre. Some of them are setting up of 128 ANM & 137 GNM schools. The Health Minister further stated that in order to increase the availability of graduate Nurses in the country, 17 Schools of Nursing have also been provided funds for upgradation into Colleges of Nursing. “Roll out of Nurse Practitioner course for Critical Care and has been launched to meet the challenges and demands of tertiary health care services in India. The course will be commencing from the academic session 2017-18. 75 Colleges have applied for the conduction of the course for 2017-18. 15 Colleges have been inspected & permitted inspection & inspection for remaining Colleges is being carried out.Nurses Registration and Tracking System (NRTS) was rolled out in June last year, Shri Nadda added.